After the conflict ended with an armistice, not a peace treaty, the two Koreas banned millions of people who found themselves suddenly divided from visiting each other’s territory across the world’s most heavily fortified border. Decades later, most have no word on whether their loved ones are still alive — their governments prohibit even exchanging letters, phone calls and emails. Most of the separated family members are now in their 70s and older and eager to reunite with their long-lost relatives before they die. 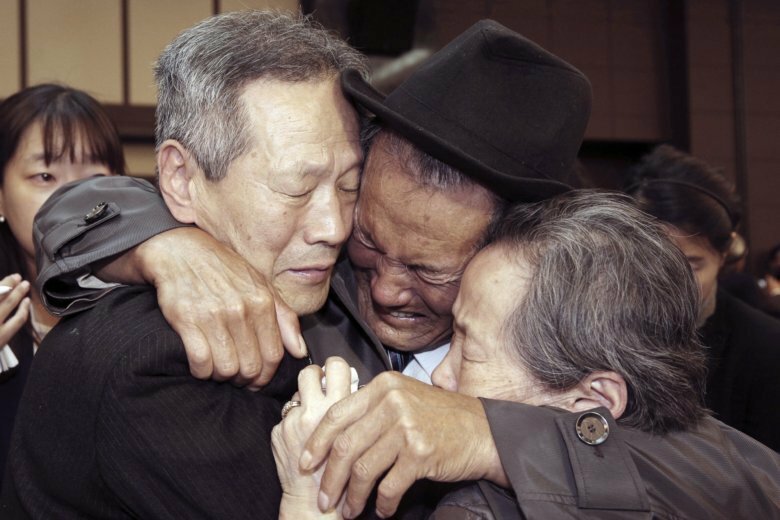 In South Korea, more than half of the 132,124 people who applied for past reunions have died. There was a one-time, small-scale reunion in 1985. But the reunions in their current form were first held in 2000, after the leaders of the two Koreas held a first-ever summit earlier that year. About 23,520 Koreans have had meetings together since 2000 — some 19,770 in person and the others by video. Most of the 20 face-to-face reunions were held at the North’s scenic Diamond Mountain resort, the site for the next reunion. The last such event was held in 2015. Participants were typically given three days to spend with their relatives and parted again for good after their brief encounters. No Koreans have ever been given a second chance to see their relatives from the other side. In past reunions, elderly Koreans wept, embraced and stroked each other’s cheeks in a rush of words and emotions. Some exchanged gifts like long johns, liquor and photographs of relatives who couldn’t attend or had died, while others struggled to continue their conversations. They included women who had never remarried and were briefly reunited with husbands who had new families, and those who met relatives they assumed had already died and had memorial services held for them. North Koreans typically wore almost identical clothes: men in dark suits, ties and bowler hats and women in traditional Korean “hanbok” dresses. During tearful separations at the end of three days, many aboard buses extended their hands out the windows to hold their relatives’ hands one last time. South Korea uses a computerized lottery system to pick participants, while observers believe North Korea chooses only citizens seen as loyal to its authoritarian government. Some South Koreans said they were surprised after seeing their North Korean relatives praising their ruling Kim dynasty even during private meetings in hotel rooms. South Korea has long pushed for more reunions, but North Korea is reportedly reluctant to do so because it worries the expansion of its citizens’ contacts with more affluent South Koreans could eventually loosen its grip on power. The North has also often tried to win aid and concessions from South Korea for allowing reunions.